Vojislav Šešelj: what does Ismail Morina serves to us? The renowned radical Serbian politician Vojislav Šešelj spoke about the arrest of Ismail (Ballist) Morina in Croatia. Šešelj says Belgrade should not have been dealing with this issue, as this will bring clutter to the Presevo Valley. "I expected the Croatian court to not consider this issue. What does Morina serves to us? Besides he will bring confusion in the Presevo Valley and in Kosovo? Rather than dealing with Albanian criminals who smuggle human organs, we deal with someone whose only success is the revealing of poor Serbian police and security services at the stadium where the football meeting took place. If he is extradited, I call on the Serbian judiciary and the Serbian government to punish the Ballist Morina for five days and not to be allowed to enter Serbia for 10 years and then to return him to the Albanian authorities," Šešelj said according to Serbian media. 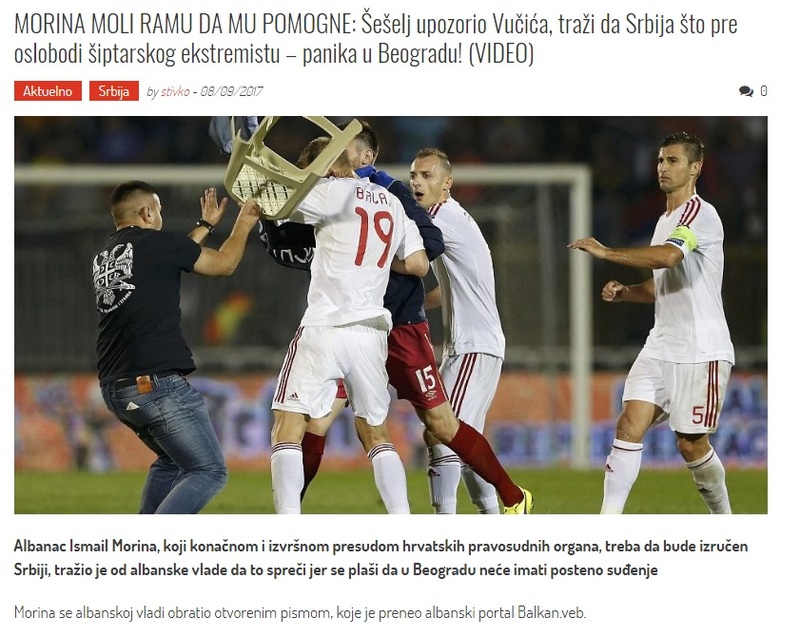 We remind that at the request of the Serbian state, the Albanian national team fan is expected to be extradited to Serbia by Croatian justice.